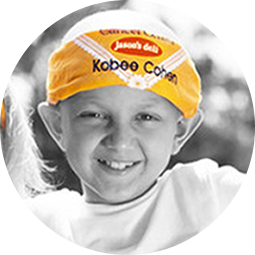 Since 2014, Jason’s Deli has raised more than $800,000 to support cancer research and programs through the Strike Through Cancer campaign. In April 2017, Jason’s Deli debuted its Salmon Pacifica Salad – the fourth healthy menu collaboration with MD Anderson. The salad was co-developed by Jason’s Deli and MD Anderson clinical dietitians and cancer prevention researchers. MD Anderson receives 50 cents from each Salmon Pacifica Salad sold. 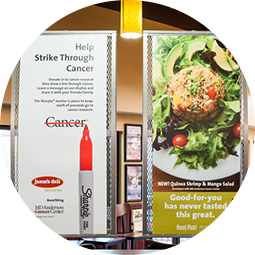 Funds raised through sales from the Salmon Pacifica Salad currently support programs in MD Anderson’s Cancer Prevention and Population Sciences division. 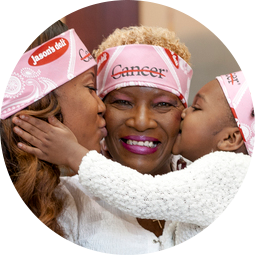 Join us today in Making Cancer History®.